US online shopping giant Amazon said Thursday it plans to create 2,000 permanent full-time jobs in France this year as consumers are making more and more of their purchases via the internet. "The jobs are at all levels of skills even if the overwhelming majority of the positions are for fulfilling orders," Amazon's director in France Frederic Duval told. The new jobs will be across Amazon's distribution centres in France, as well as its offices in the Paris region, and take overall staff to 7,500. Amazon said it has invested more than two billion euros ($2.5 billion) in France since 2010 and created more than 1,500 jobs in France last year. However, Amazon, along with other US tech companies, has also been at loggerheads with French authorities over taxes as they structure sales to pass through other European countries where tax rates are lower. 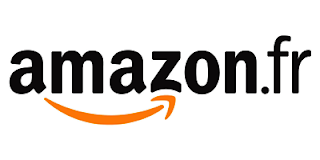 Amazon announced earlier this month it had reached an agreement with French tax authorities under which it will now register French sales in France.